Reiki originated in Japan in the 1900′s. These ancient teachings have since been introduced to North America and throughout the world. Reiki combines the healing, loving power of touch with life-force energy. It is a method of hands-on healing that can be used on oneself or in treating others. It is a simple, safe, & gentle method of healing that can be easily learned by people of all ages. It stimulates & accelerates the natural healing potential of the body. It is a restorative treatment that renews & balances the mind, body, spirit and emotions. It enhances and complements other forms of health care, never interferes. What can one expect from a Reiki session? Reiki is experienced through the hands by a flow of healing energy. The session takes place with you relaxed and fully clothed on a massage table. Healing energy is then directed into specific areas of your body through a series of gentle hand placements. The hand positions are either on your body or slightly above. The energy flows into your body through the practitioner. The energy establishes a more balanced flow within your body and goes to where it is needed most. The energy does not come from the practitioner but from the universal supply of energy. It works to balance the energies within the body and induce a deep state of relaxation, which triggers the body’s natural ability to heal itself. The energy helps to restore balance in the mind, body, and spirit. It treats the whole person and creates feelings of deep relaxation and peace. It reduces stress, tension and anxiety. This deep state of relaxation stimulates your parasympathetic nervous system. This is the “rest and repair” function of your body. Often our bodies are a state of “fight or flight”, which is how our bodies respond to everyday stress. Our bodies need to calm down and relax to properly rejuvenate and maintain good overall health. This healing energy also stimulates the brain’s production of endorphins, the body’s natural painkiller, therefore, amazing for relief of chronic pain conditions. The energy works with that innate part of us that knows where healing needs to take place. It is your biological intelligence that promotes the healing of a cut finger or a broken bone. Reiki simply amplifies this process. Reiki promotes the highest healing for us, and serves to boost our immune system to help prevent us from getting ill.
You may experience sensations, such as: warmth, tingling or feeling nothing at all. Healing results takes place over a few days, and on many occasions the results are immediate. It has been said that a one-hour Reiki session is equivalent to four hours of deep restorative sleep. All of the Reiki classes offered will greatly assist you in your path of spiritual evolution, development, and healing, as well as, teaching you the practical applications of this healing system. 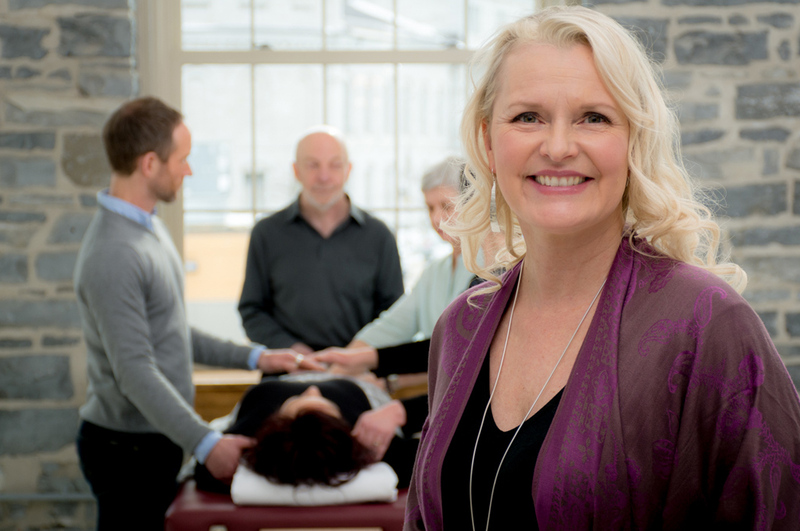 Here’s a video that explains more about the vast benefits of Reiki.